Design your own notice label in quick steps. 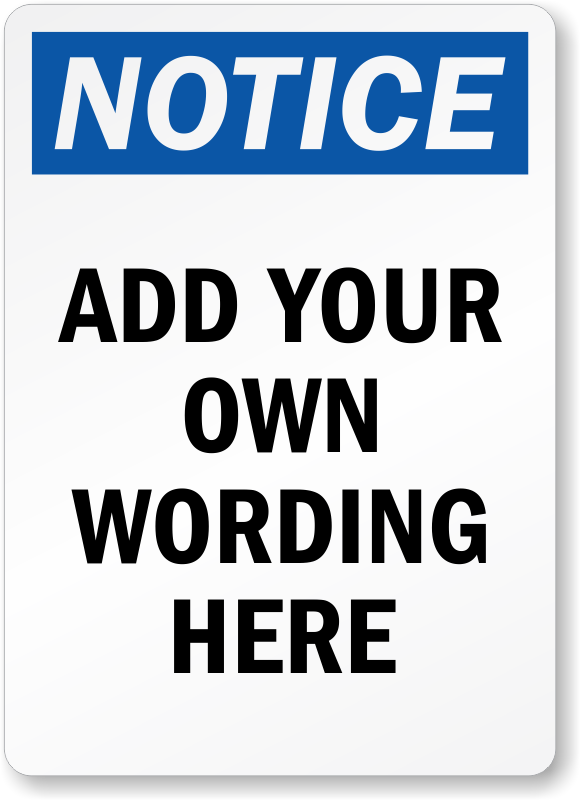 Use our user-friendly customization tool to add your wording for free and your OSHA Custom Notice Label is ready to order. Label made of laminated vinyl withstands chemical splash and can be used inside or outdoors. Great value for the cost - would use again!